Bringing It Home: Ending Homelessness in NC! Conference - Bringing It Home: Ending Homelessness in NC! New Homeless Liaison Compliance Training for LEAs. 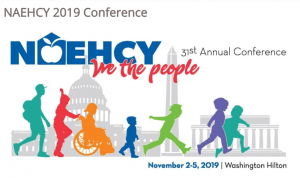 Presentation proposal submissions for the 2019 NAEHCY Conference are due March 31st.